First of all, I want to start with introducing myself. 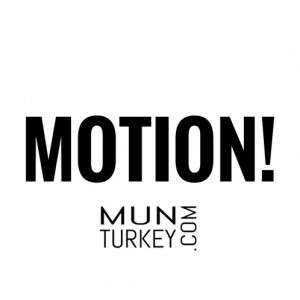 My name is Ümmü Nur Barcın. I am a student at a High School in Antalya. Such adjectives as an art lover, bookworm, coffee-addict and MUNer would definitely define me. When I received my allocation I was shocked. The Committee was DISEC and the country was Syria which has a civil war and many problems. Then I thought like “Forget all the awards just read your opening speech then go to your home”. But I realised that I just need to get well prepared. First of all, I do research on the countries’ general policy and current situation. To be honest, I don’t read the study guide completely most of the time. I just read titles then I search about them. Another important thing is searching about countries’ policy on the topics. Find your countries’ past actions about this topic and write speeches about them. After doing research on the process, the most important one is the solutions. You need to think a lot about your solutions. Solutions have to be efficient and applicable. Another important thing is lobbying. I listened to the other delegates and sent message papers that have a similar policy with my country. In unmoderated caucuses I was calling out to delegates like “Esteemed delegates, Can the delegates who support me come here, please? “Then we wrote our working paper. At the end of the second day, we had started to write our draft resolution paper about topic A. There were two blocks in the committee but the majority was in my block. So I felt relaxed about the voting procedure but nothing happened as I expected. The following day we completed our draft resolutions. I introduced our draft resolution before the other block. In the voting procedure, I said yes with rights because I wanted to give a thank you speech but our draft resolution paper has failed because of 3 delegates. I couldn’t stand it anymore but it failed because there were absent delegates who were in the committee yesterday. 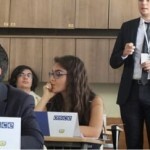 Before the introduction of other draft resolution, I said to other delegates “Say yes because if this one doesn’t get approved by the committee, the committee will fail and nobody wants this anymore.” While introducing other draft resolution, I saw an article which was completely opposite to my countries’ policy. Then I wrote an amendment to strike it out but it had failed too. The other draft resolution paper passed. In Topic B, I defended my country’s policy and we debated. All the committee wrote a resolution paper together. And it expectedly passed. I had struggled for getting an award against all the odds then I won the Best Delegate Award. In addition, I learned that it doesn’t matter what is your country or whether your resolution paper passed or not. Your speeches matter as well as defending your countries’ policy properly and your efficient solutions. Just trust yourself and do your best! I hope that this article will inspire you. She has a very inspiring story. I am inspired and motivated. If only this was released before my first MUN experience! Best delegate award is the best thing ever!!! Best delegate award is the best thing ever!!!!!!! The proof of well preparing wins the best delegate award not the allocation.Congratulations! Thanks for inspiring this beautiful post.